Are we ready for the video CV? To be honest, I hadn’t had the question before and so not sure how considered my response was but have since reflected and thought it worth putting it in a blog. Please also be aware that my opinion is specific to the world of Social Housing recruitment, rather than a generic response to the question, as different industries have different “norms” and “trends”. There does seem to be a growing movement towards “innovative” job applications. I think this has come from peoples growing frustrations at getting no response to countless applications, and the sporadic news stories of people successfully getting a job from “thinking outside the box”- see these examples here and here. But for every “sandwich board applicant” and “chocolate bar resume” out there, there are hundreds of copycat failures, so its key to make sure your efforts don’t fall by the wayside. So what are the pro’s and cons of creating your video CV. Lets start with..
2. It gives you an opportunity to convey your personality much better than any paper CV. As a footnote to this, if you aren’t the best in front of a camera, I’d stick to the traditional format! 3. It demonstrates your creativity and desire for the role. 4. It allows you to engage more effectively with the employer. By using your communication skills effectively, you are getting a head start on the others, as you will be recognised when you turn up for interview. 5. It taps into our current communication fashion. In this “social” world, where we can check people out on Linkedin, Facebook, Instagram etc, and probably learn more about them than any CV will tell us, it feeds that desire to “get to know people” better and quicker. 6. It can play to your strengths. If your written skills are not as strong as your verbal communication, then it enables you to play to put your best foot (or should that be face/voice??) forward and increases your chances of getting selected. If the role requires these soft skills, then it also demonstrates your abilities much better than a CV ever could! 1. I’m not sure our market is ready for it. The recruitment process is stiffled by needless hoops and barriers, and especially in the Housing market, there is a firm structure as to how people recruit in order to ensure a fair and measured approach. 2. 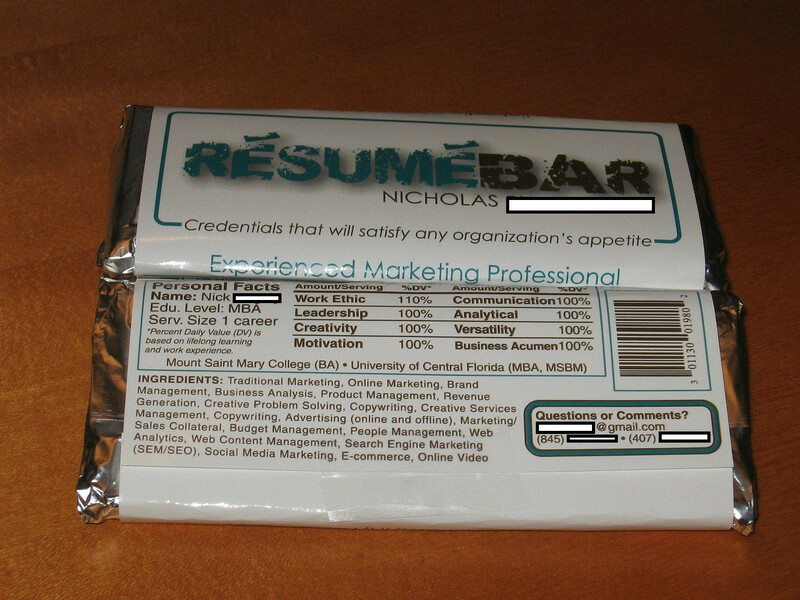 You risk being forgotten– people still seem to print off all CVs. So if someone has a pile of CVs that they have to go through, they may get focussed solely on getting through them, and your video on their email may get forgotten. 3. They may not have the capability to watch the video– some organisations’ IT systems may not be able to cope with the format or have firewalls that prevent the format being accessed. I still remember a time not too long ago, when I had to fax CVs across to clients (dinosaur recruiter alert!)!! 4. There is an argument to say that it could increase the potential for discrimination, although my experience of the Housing market would tell me this probably won’t be the case. So if you decide to go for it, you would certainly be one of the “early adopters”, but that’s no bad thing. And it appears that there is the appetite for it being a viable option. According to career publisher Vault Inc.’s annual employer survey, 89% of employers would watch a video CV if it came through to them, but only 17% have actually received one. However, I did a rudimentary small straw poll of about 15 of my HR contacts and it was a narrow majority of them who would consider it (8 of them), and only then, as a supplement to their current process. With that in mind, I would suggest taking the following action to make sure that all your efforts aren’t in vain. 1. Call ahead and explain that you have a video CV and would they have any issues with you submitting it? Many organisations will have a very prescribed process and will discount people who don’t comply with that. If they want you to complete an online application form or send a standard CV, ask if you can send the video CV to supplement it. 2. Remember that you aren’t Steven Spielberg- you need to focus on the aim of your video CV- to demonstrate why you are the best employee for a particular role- and you are not creating a movie masterpiece. Save the special effects for something else- this is new to many people and I think you’d be better served keeping it simple and professional. 3. Tailor it to the specific role. This applies for paper CVs too, but I would advise against a general “one size fits all” video. Take a little extra time to tailor it to specific roles and watch your success rate shoot up! 4. Keep it short- the most successful video CVs are between 1 and 3 minutes long. If it gets much longer, it will start to work against you. 5. Look the camera in the eye- use the same principles as you would in an interview to ensure you engage with the viewer. If you have a script off camera, it will be uncomfortable for the person watching it. 6. Be yourself- the benefit of using this medium is that you can express your personality, so do that! 7. Structure it like you are telling a story- make sure it has a beginning, middle and end, and have your contact details at the end, as you want them to have them to hand after watching it. I do believe that there is a future in using this medium. I have had so many poor CVs come through, but then been blown away when I met the candidate in person and this addresses that. It can also save employers time by making the same “gut feel” assessment before inviting someone in, and can enable you to represent yourself so much more effectively than on a couple of pieces of A4. But most of all, be prepared for the question, “Why have you got a video CV?”, because you will undoubtedly be asked it, and your answer could actually be the reason you get employed! Previous Previous post: References- the biggest waste of time in recruitment? Next Next post: Are passive candidates really the best?